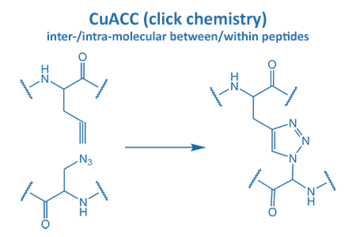 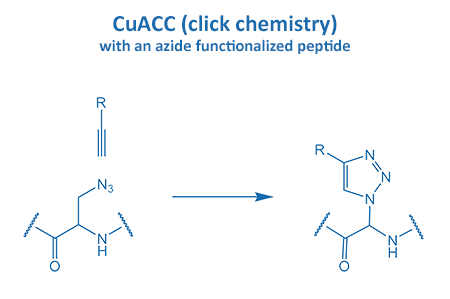 Introduced in 2001 by M. Meldal, the Cu-catalyzed azide alkyne cycloaddition (CuAAC) gained enormous potential in peptide chemistry. An azide reacts with an alkyne moiety in order to form a stable triazole. 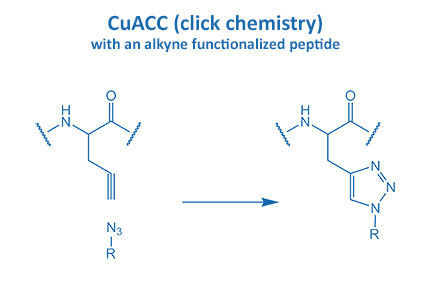 The fast reaction rate and the selectivity made it the most popular “click” reaction. 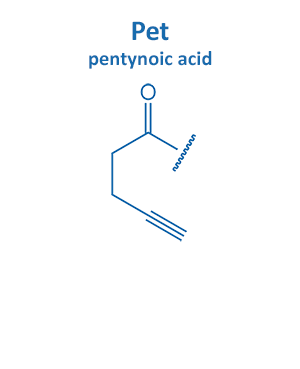 Furthermore, this reaction proceeds without the formation of any side product in water and organic solvents. 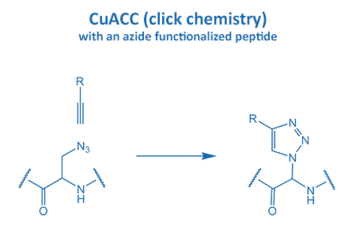 All these properties are very suitable for applications in biochemistry and particularly peptide chemistry. 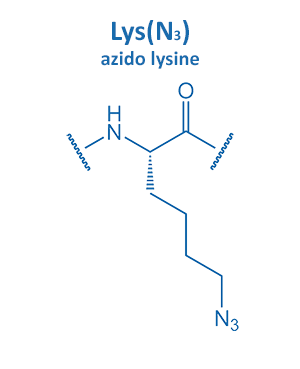 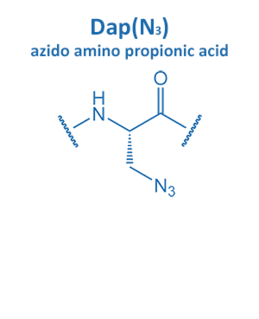 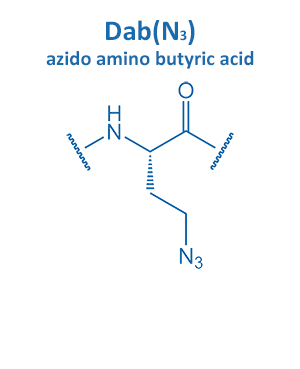 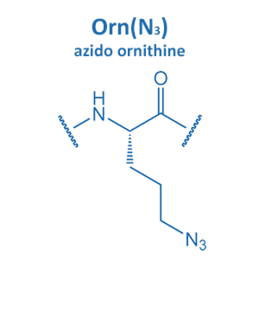 Biosyntan offers peptides with different azide or alkyne building blocks that can be incorporated at any position. 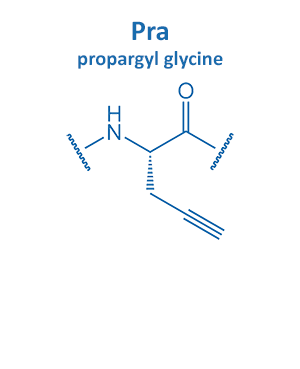 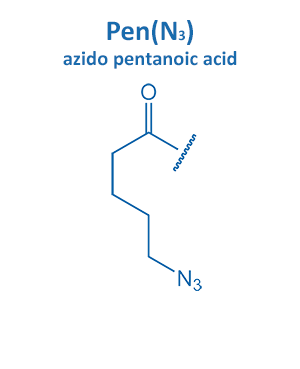 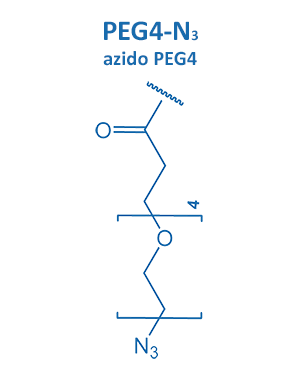 Azide functionalized PEG spacers are available as well. Such a functionalization opens up an enormous variety of coupling reactions, e.g. 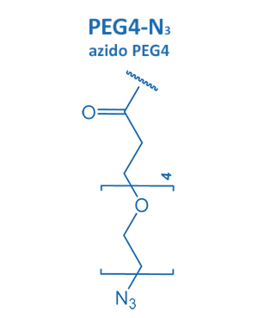 labeling with dyes, attachment to surfaces or antibodies.